It’s a lively stew of Nazis, lies of omission, evil banners, poison apples, and two little words. Read all about it in another pulse-pounding edition of Fox Haters Week in Review! SOCARIDES: EVERY NIGHT on the very network that we're on right now, the leading commenters on this network use this kind of language. So Kelly’s response was not to a claim that it happens sometimes, or often, or even regularly--but a claim that it happens every night. But then her reply is righteous and accurate, not ‘absurd’, and the handful of MM ‘examples’ irrelevant, as they don’t even come close to proving Socarides correct. The Media Matters solution: crop the quote to remove ‘every night’. Presto! Another MM smear, dressed up with the additional lie that Kelly ‘hasn’t noticed Nazi imagery’--something Kelly never said! In no time at all the noise machine parroted this smear, along with the carefully doctored quote: Washington Monthly, Fox News Watchdog, SodaHead, Crooks & Liars, etc. Some sites rewrote the conversation further, claiming that Kelly said Fox News personalities ‘never invoke the Nazis’--a claim they fabricated out of thin air. Business Insider, one of the few to accurately quote the Socarides/Kelly exchange, nonetheless ignores Socarides’s ‘every night’ and pretends that Megyn was wrong to challenge him--even though his ‘every night’ assertion is on its face a risible falsehood. When you get to this point they just don’t care about what’s true. JEHMU GREENE: It’s a smart move, and I think we’re going to start to see him make better allies within the business community. In truth, that headline might be more accurate than the Media Matters original. 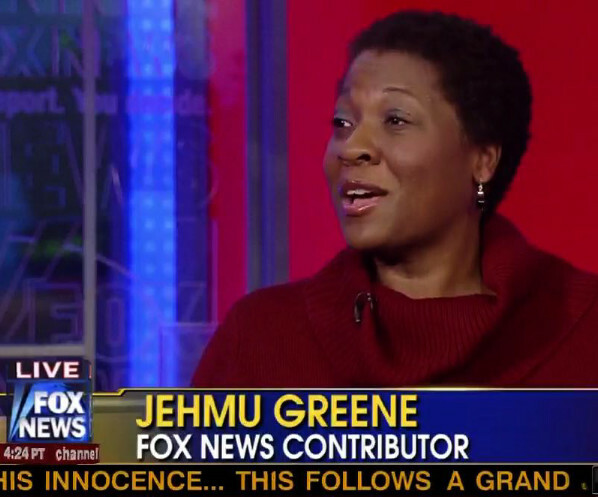 Jehmu Greene is a Fox News contributor; she is an employee of FNC and speaks from that position. Noelle Nikpour is not (she appears freely on other cable channels). 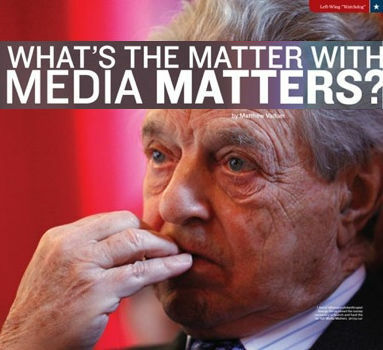 Looks like Media Matters didn’t tell the truth about that either. Wonder why. When he said to his listeners that they will have to shoot Democrats in the head, it is a reach to interpret his comments as any thing other than inviting bloodshed. Fox News began criticizing Tucson memorial even before it ended... “You do have to question the timing of it," conservative blogger Michelle Malkin told Fox News only minutes after the service ended. You’ll find this claim all over the interwebs: Crooks & Liars, USA Hitman, Info WarHorse, Patrick Henry Press, etc. Most of them seem to have regurgitated it from Raw Story. But there’s a problem: how could Michelle Malkin have said all this on Fox ‘only minutes after the service ended’--when in fact she said it the next day, on Fox & Friends? Wasn’t it obvious from the video that she was speaking the next morning? Actually no, it wasn’t. Because Raw Story only had a 5-second blip of Malkin and didn’t bother to check or verify the ‘facts’ they put forward. Ah but that was for a good reason; their source is such an ultra-reliable pillar of journalistic excellence that they obviously felt no need to check the accuracy of anything he said. Their source: Jon Stewart. You see, Jon told his viewers that just two to three minutes after Obama spoke at the memorial, ‘politics, point-scoring, and pettiness’ took over. 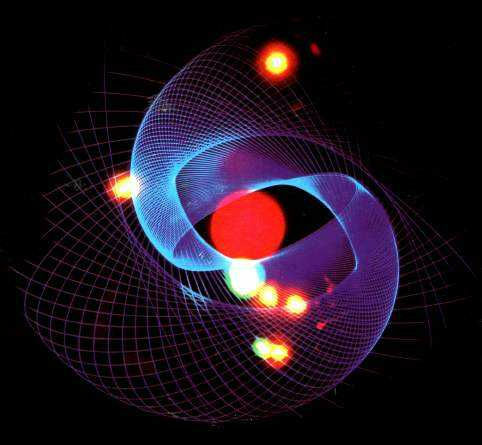 And he illustrated this with a video montage. A series of soundbites from pundits praising the speech led directly into Michelle Malkin’s blip--only that blip wasn’t from ‘two or three minutes’ later as Stewart said. It was from the next day! All these websites mindlessly parroted the notion that Malkin spoke ‘two or three minutes later’--proof they didn’t watch the coverage as they would have known that Malkin wasn’t on it. They didn’t bother to verify the facts before publishing--not very hard to do. No, Stewart’s shtick is what passes as ‘research’ to this crowd. It was tailored to their taste, carefully edited to exclude anything that didn’t make FNC look bad. 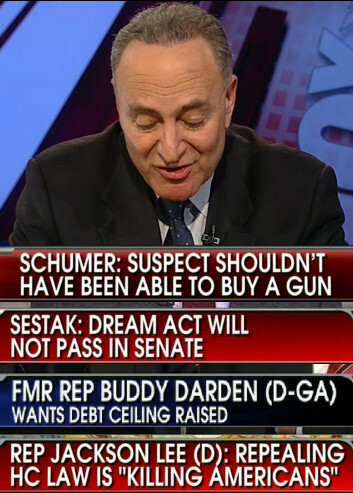 Stewart’s montage of soundbites praising the speech included none of the praise voiced on FNC. He later cherry-picks comments from the Fox & Friends hosts to show only (mild) criticisms and none of the positive comments. (Just like Media Matters!) At one point Stewart rants that the memorial was not ‘a show’ but a time for ‘mourning’; moments later he’s attacking people for opining that the raucous audience was inappropriate. Consistency, honesty, facts--all of these are unimportant to Jon Stewart, who will remind you that he’s just a comedian. And yet he’s Raw Story’s Big Source. No wonder their articles are a joke. Meanwhile the newshounds, in their time-honored tradition of attacking Fox without watching it, declared that FNC coverage of the memorial was ‘unfair and unbalanced’. Their source? You guessed it--Jon Stewart! And Priscilla is back with her vitriolic anti-Catholic bigotry, taking care to work in a seemingly pointless comment about Father Jonathan Morris (‘boyish’, a call back to the sleazy use of ‘baby-faced’ to reinforce a favorite hound insinuation). Good thing Brodsky is concerned about death threats. 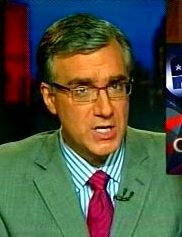 OLBERMANN: He told his audience that, on election night, at this hour, nine times as many Americans were watching Fox News Channel as were watching MSNBC. Actually, they had 7-1/2 million viewers at 8:00 Eastern last Tuesday. We have we had 2.6. That wouldn‘t be nine time as many. That would be less than three time as many. It‘s too bad Billy isn‘t as good with a calculator or a brain as he is with a loofah. O'REILLY: Fox News Channel is up against CNN and MSNBC, all right? Last night, on the Fox News Channel, at 8 o'clock, the Factor time, nine times as many Americans watched us as MSNBC. Nine times. That plurality has never been seen before in the history of network news. Nine to one, just as O’Reilly said. Olbermann was informed that his O’Reilly attack was based on a falsehood and was asked if he was going to do a correction. The blogger who asked him that (now better known as Brian Stelter of the New York Times) told us that Olby had no plans whatsoever to address it. And of course he didn’t. That set the pattern for years of slanders. Lift a story from a blue blog or Fox hater website. Don’t check the accuracy. Broadcast it without attribution (aka ‘rip ’n’ read’). When it proves to be false, stonewall--do not correct. Move on to the next smear. Now all that’s over...for a while. Keith will be back in some venue or other, and if you think he will be chastened by any of this, think again. The standards and practices at NBC News were shredded during eight years of Olbermann’s influence. When Olby returns it could be in a venue with even flimsier standards, or none at all. What sort of atrocities will that bring?